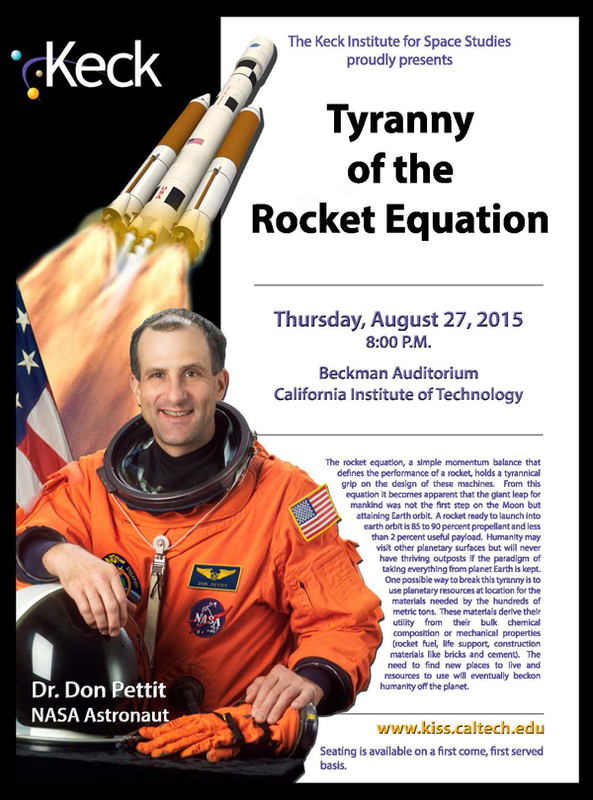 The rocket equation, a simple momentum balance that defines the performance of a rocket, holds a tyrannical grip on the design of these machines. From this equation it becomes apparent that the giant leap for mankind was not the first step on the Moon but attaining Earth orbit. A rocket ready to launch into earth orbit is 85 to 90 percent propellant and less than 2 percent useful payload. Humanity may visit other planetary surfaces but will never have thriving outposts if the paradigm of taking everything from planet Earth is kept. One possible way to break this tyranny is to use planetary resources at location for the materials needed by the hundreds of metric tons. These materials derive their utility from their bulk chemical composition or mechanical properties (rocket fuel, life support, construction materials like bricks and cement). The need to find new places to live and resources to use will eventually beckon humanity off the planet. 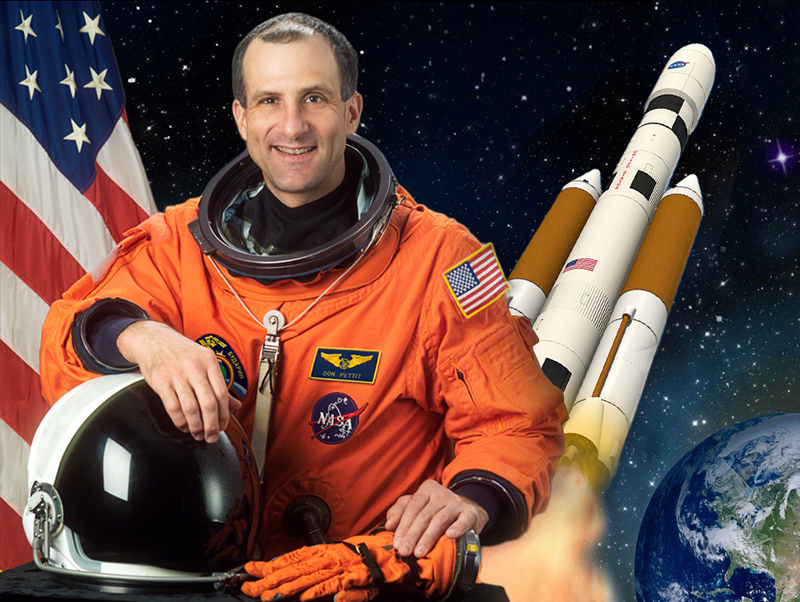 NASA astronaut Dr. Don Pettit is a chemical engineer by schooling, a scientist by profession, and an explorer by heart. He is a veteran of two long-duration stays aboard the International Space Station, one space shuttle mission and a six-week expedition to find meteorites in Antarctica. He has logged a total of 370 days in space on three flights.